You will receive an e-mail alert when the price of Borderlands will drop. (Online Interactions Not Rated by the ESRB)The Games on Demand version supports English, French, Italian, German, Spanish, Japanese.With its addictive action, frantic first person shooter combat, massive arsenal of weaponry, RPG elements and four-player co-op, Borderlands is the breakthrough experience that challenges all the conventions of modern shooters. 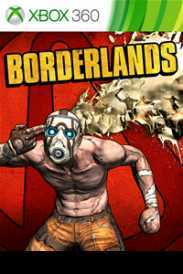 Borderlands places you in the role of a mercenary on the lawless and desolate planet of Pandora, hell-bent on finding a legendary stockpile of powerful alien technology known as The Vault.